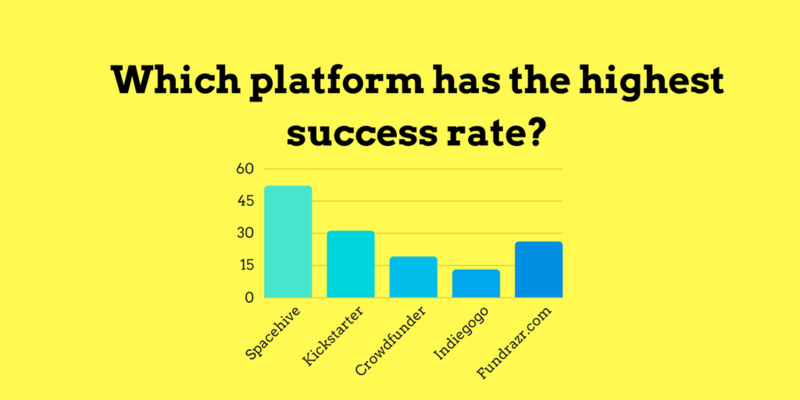 Which crowdfunding platform has the highest success rate? The results are in. 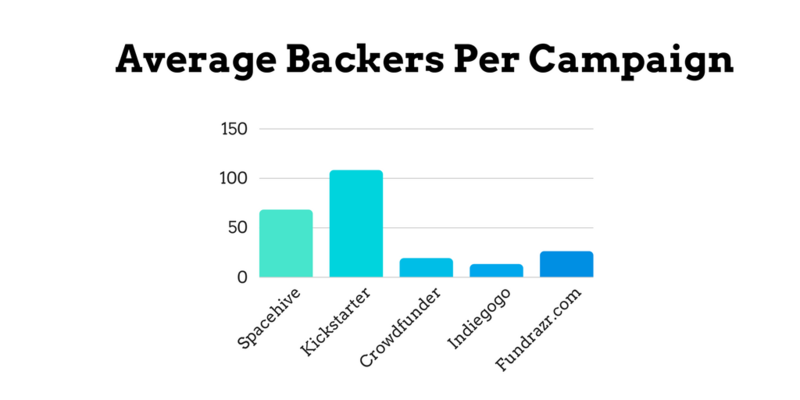 The latest report from The Crowdfunding Centre looked at the data from leading crowdfunding platforms including average number of backers, average pledge size and the overall project success rate. Where we stand apart from other crowdfunding platforms is that we focus exclusively on transforming places, spaces and communities. Always have been. Which means we know all there is to know about getting them funded – which you can see reflected in the stats below. 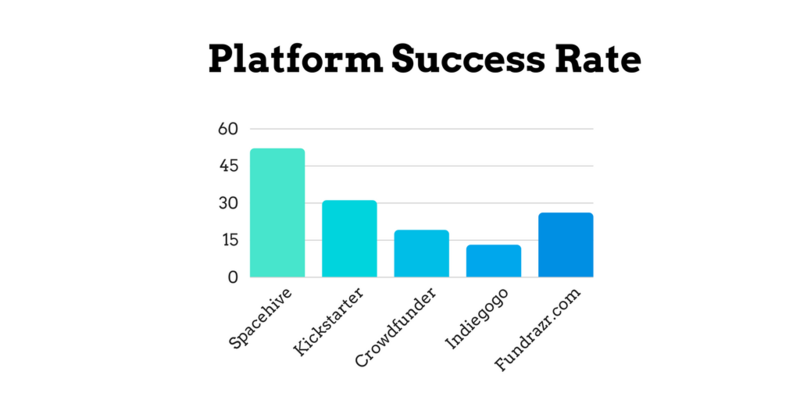 For crowdfunding success rate, we lead the way at 52%, woo! This is significantly higher than other platforms where less than a third of projects hit their target, in fact only Kickstarter comes close at 31%. Our stellar success rate can be attributed to a number of factors; people are more likely to support projects in their local communities that everyone can use; our all-or-nothing funding model motivates people to hit their set target; and we offer over £1.6 million in additional funding from our partners. 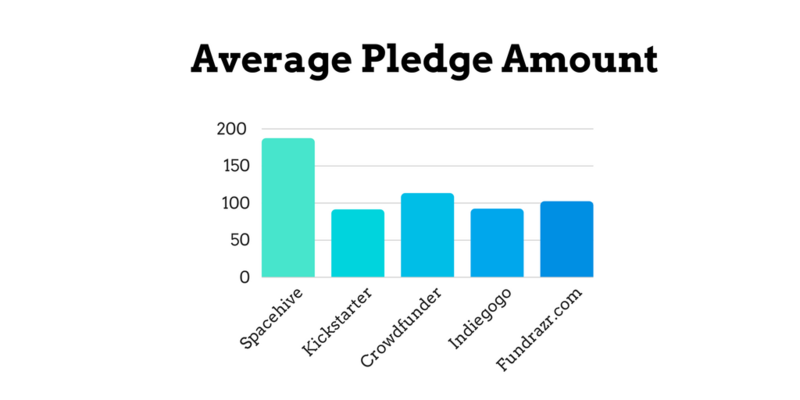 The average number of backers for Spacehive projects is 68 which comes in higher than every other crowdfunding platform bar Kickstarter. For local projects it’s important to get buy-in from the community to show the appetite for your project before getting larger funders on board. Along with funds and the highest success rate, we also offer top-notch support to our project creators. Crowdfunding can be challenging but we’re here to support projects every step of they way. Download our complete guide to crowdfunding here to learn all you need to know about planning a successful campaign and then sign up for one of our free workshops and webinars for expert advice and support. Ready to transform your local area? Create a project with us today.